PUTIEN started out as a humble coffee shop in Singapore in year 2000. Since then, it has 50 branches in Malaysia, Indonesia, Hong Kong, Singapore, Shanghai, Taiwan, Beijing, Guangzhou and Shenzhen. On 29-June-2017, PUTIEN received One-Michelin Starred Restaurant status in the Michelin Guide Singapore 2016 & 2017. 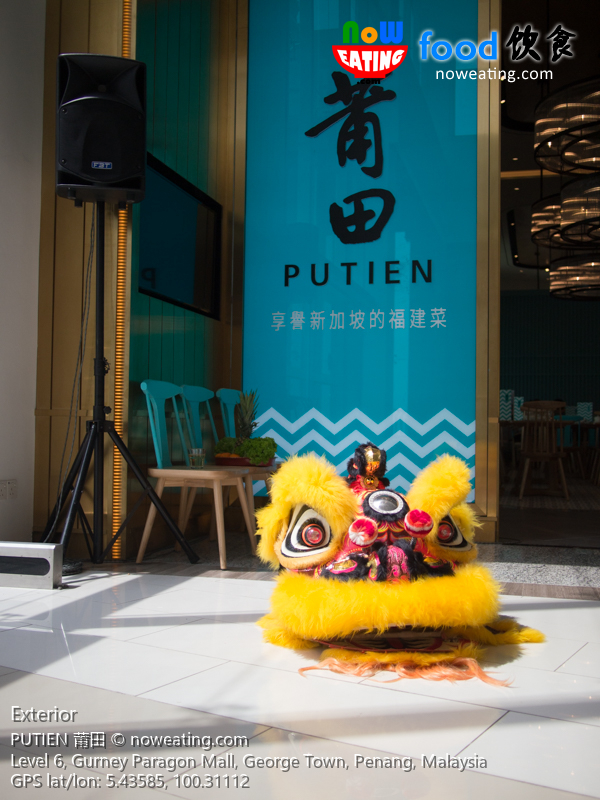 The story of PUTIENT started with Mr. Fong Chi Chung who missed the food from his hometown Putian – a beautiful coastal suburb of Fujian, China. 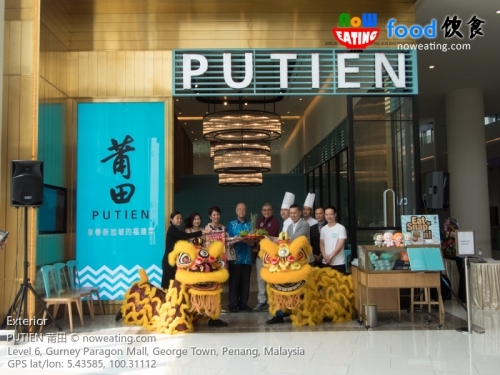 It is the PUTIEN’s philosophy to skillfully bring out the original taste of each ingredient, hence its tag line Fresh Ingredients, Original Taste. We recently visited the Gurney Paragon Mall outlet for its grand opening. While waiting, we were served with some quick nibbles, including Seaweed and Mini Shrimps Dressed with Sauce 蝦苗拌頭水紫菜 (RM15.90/regular) Taste: Sweet and Sour. Unlike commercial seaweed, PUTIEN uses the first harvested seaweed which is renowned as nugget of seaweed for its premium quality. 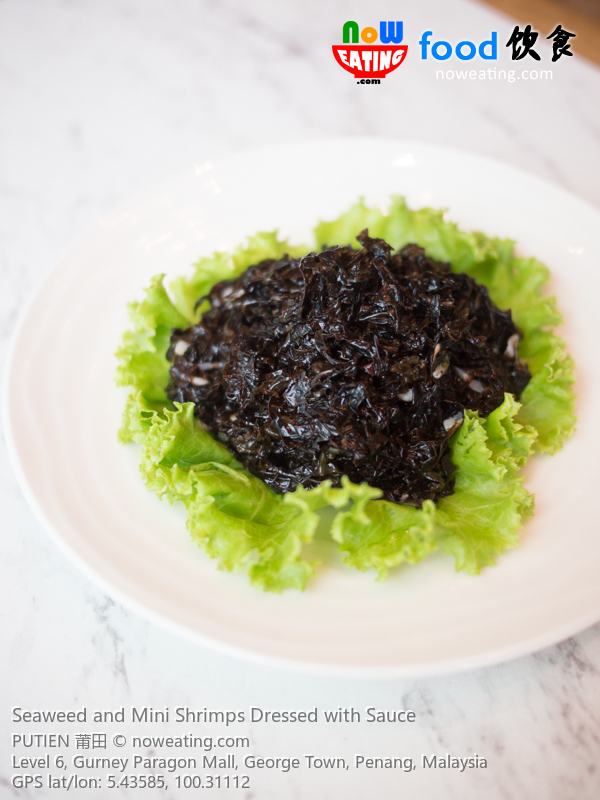 In the 12 harvests annually, only those from the first 7 days are known as first harvested seaweed. 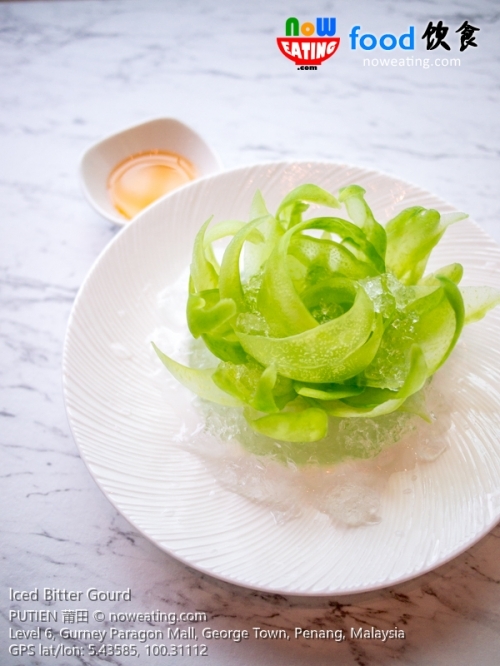 Iced Bitter Gourd 冰浸苦瓜 (RaM11.90/regular) Taste: Refreshing. The bitter gourd is precisely cut into 2mm thin and translucent slices. Paring with honey, this cool and exquisite dish lowers the bitterness of the gourd, leaving a fruity taste in the mouth. 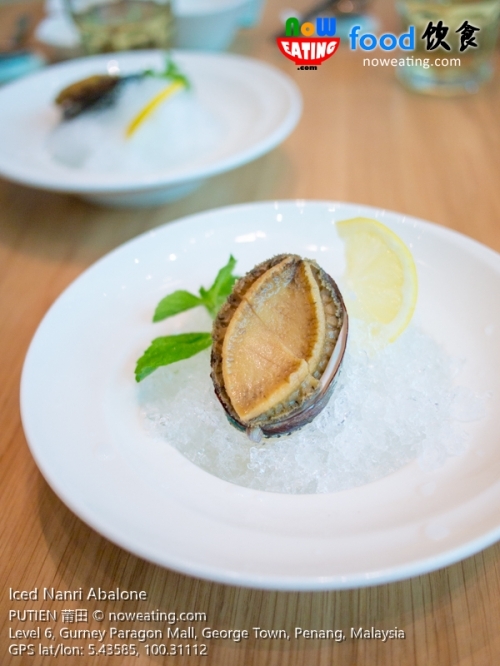 Iced Nanri Abalone 冰鎮南日鮑 (RM33.90/pc) – Fresh and premium seaweed-fed abalone from Nanri Island 南日島. Nanri Island is an island southeast of Putian city and is near to Taiwan island. The unique abalone is only available in PUTIEN. 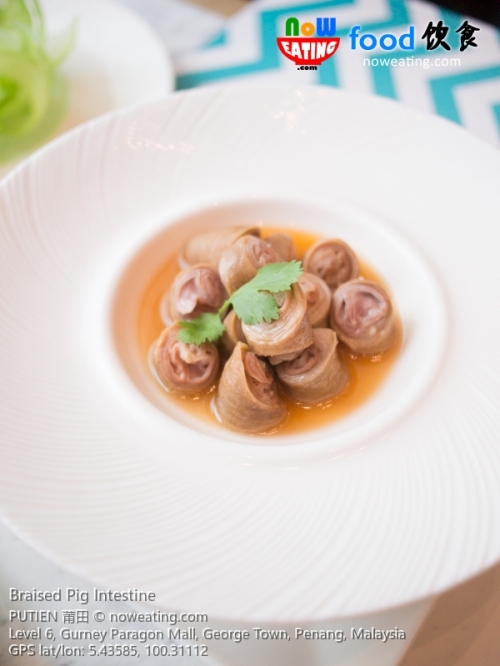 Braised Pig Intestine 九轉小腸 (RM19.90/regular) – Savoury and Fragrant. The long intestines are meticulously cleaned for 3 hours and then braised with 12 spices on a mild flame to give you a springy taste with rich flavor. Even a non-pork lover also enjoys it thanks to the boar taint-less intestine. Ah Yuan Fragrant Herbal Chicken 阿元香草鷄 (RM16.90/regular) Taste: Savory and Fragrant. Before we proceed further into main course, allow us to introduce you PUTIEN Signature Spice Mum Chili Sauce which is available on each table. The sauce will definitely tantalize your taste buds and best dip with almost any PUTIEN dish, including Ah Yuan Fragrant Herbal Chicken. Back home, our standard fish steaming time is 15 minutes. PUTIEN breaks the record by introducing “100-Second” Stewed Yellow Croaker Fish 百秒黃花魚 (RM43.90). Taste: Original and Fresh. 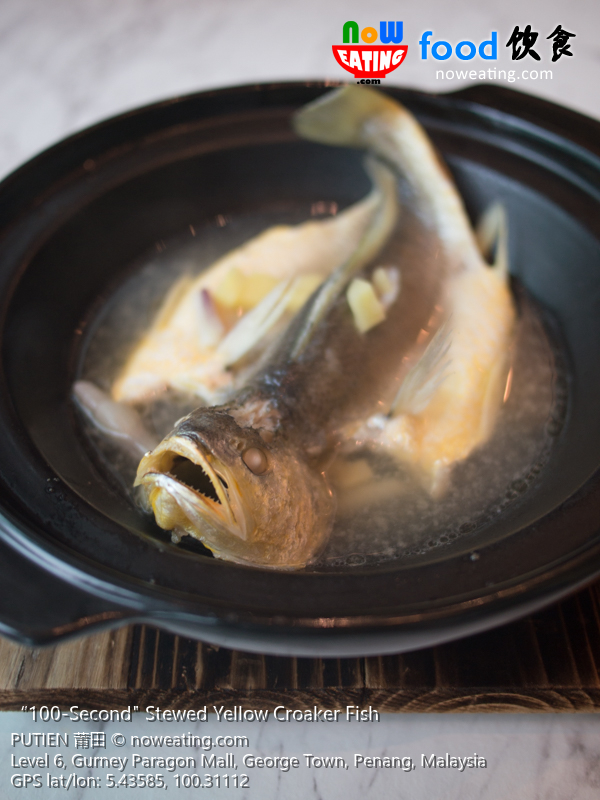 The yellow croaker is stewed precisely within a hundred seconds, which is a revolutionary breakthrough cooking technique originated from PUTIEN. Get your hands dirty with Deep Fried Pork Trotters with Salt and Pepper 椒鹽豬手 (RM15.90/pc) cooked through 13 processes to perfection before deeply fried, leaving only collagen under the crunchy skin. To enjoy, eat it with your bare hands (disposable gloves will be provided and beware of hot content). 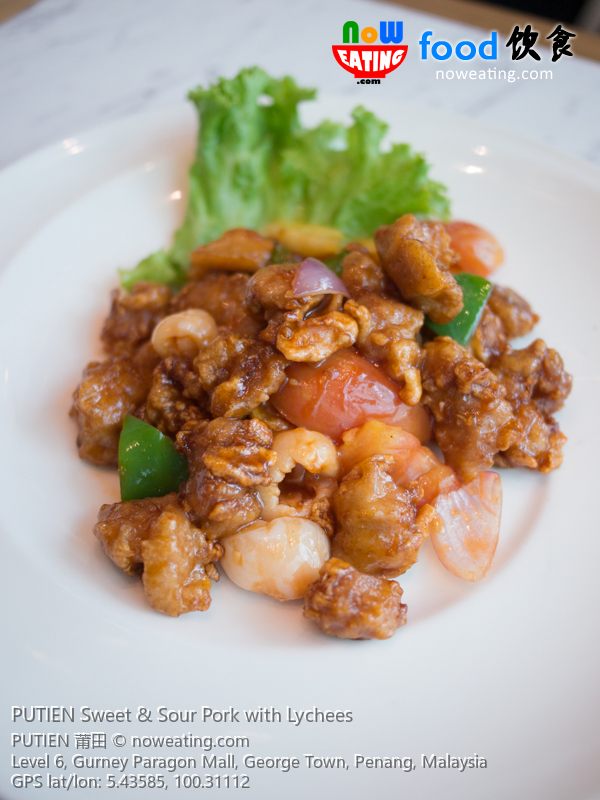 PUTIEN Sweet & Sour Pork with Lychees 莆田荔枝肉 (RM22.90/regular). Lychee is one of the Four Putian Fruits and is a perfect complement to deep fried pork for its ultimate sweetness and juiciness. Looks cute. Feel solid. Once tasted, never stop. 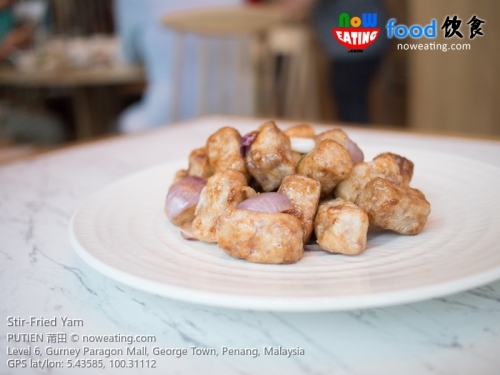 Stir-Fried Yam 酥炒芋芯 (RM21.90 regular) is a must-try thanks to its sui generis fragrant and sweet tastes. 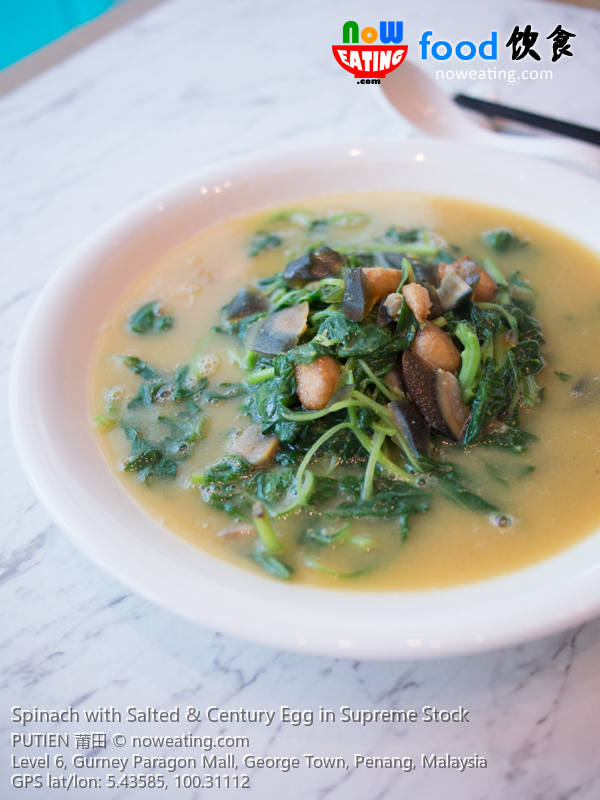 Spinach with Salted & Century Egg in Supreme Stock 上湯芫菜 (RM21.90 regular). 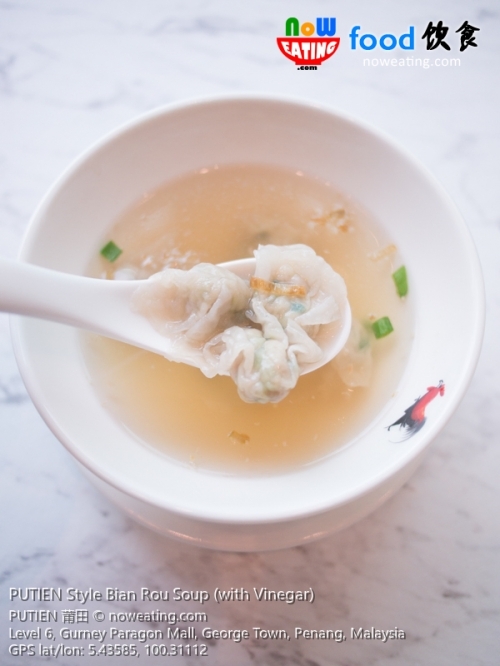 Our favorite vegetable dish in any “Choo Char” Chinese restaurant and PUTIEN’s version is unequivocally at utmost quality on its supreme stock. Shredded Pork with Sesame Bun 黃金荷葉包 (RM7.90/pc, minimum 2 pcs). Taste: Crispy. Shredded tender pork in savory sauce pairs with golden sesame buns. 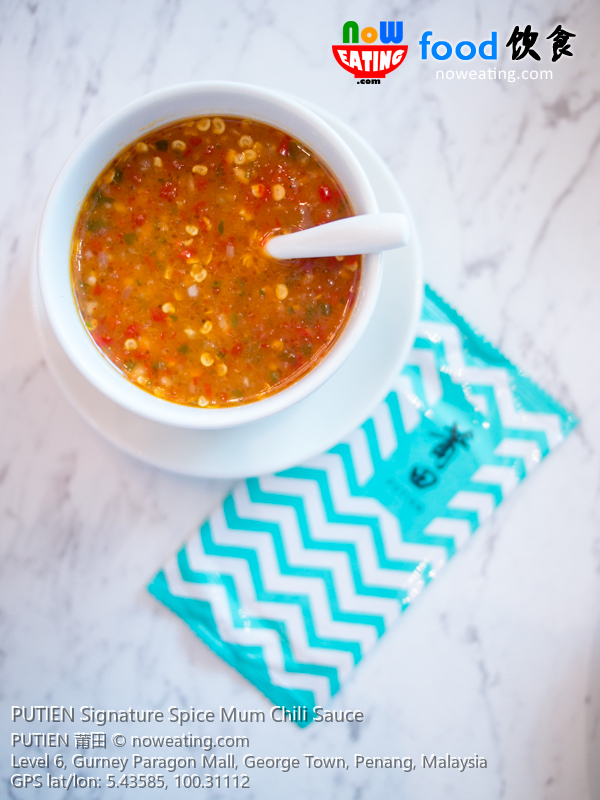 Do not hesitate to enjoy this deliciously mixed flavor at its best tasting moment which is as soon as it is served. Back in childhood days, Bee Hoon used to be a rice noodle with fine texture. 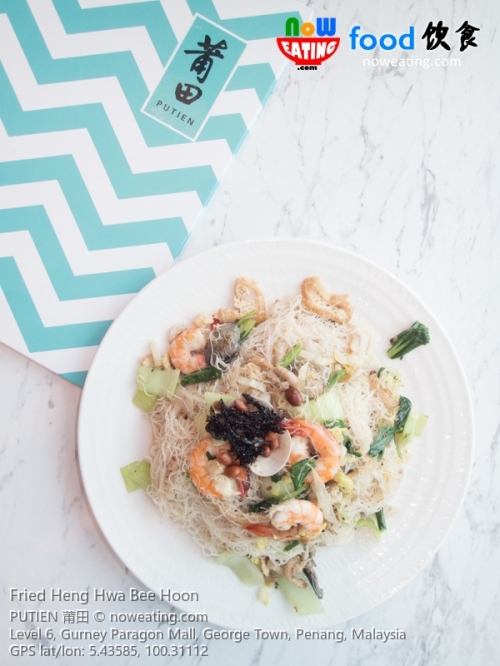 Today, almost all eateries use “thick” and imported Bee Hoon for some reasons. There is nothing wrong with the thick Bee Hoon but for those looking for something nostalgic, PUTIEN’s Bee Hoon is made from hand-milled flour and sundried to ensure fine and silky noodles that is not brittle. Guarantee to bring back your childhood memory. Figure: Fried Heng Hwa Bee Hoon 興化炒米粉 (RM21.90/regular). Taste: Savoury and smoky. PUTIEN Lor Mee 莆田鹵麵 (RM21.90/regular) Taste: Rich and Fragrant. 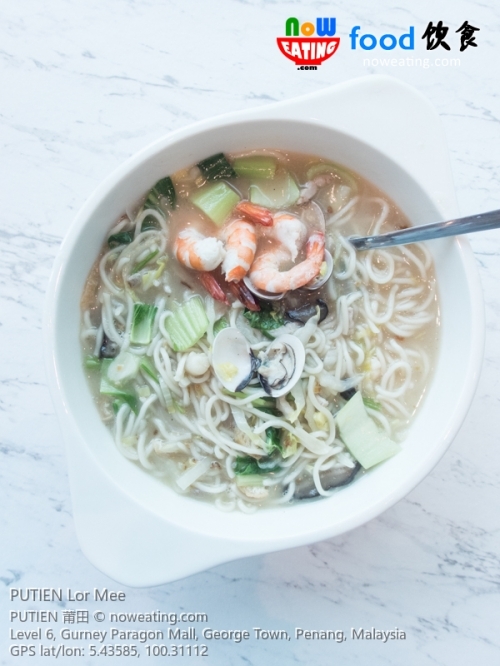 Highly praised by Singaporeans thanks to its 12 satisfying ingredients and delicious broth simmered for 8 hours.